Half-Life remake Black Mesa makes the list of top voted games. Steam Greenlight, Valve's ambitious new service giving users the power to decide what they'd rather see for sale in Steam's store, has only been around for a couple of weeks. In that time, however, a list of games has already made the cut. Valve has decided to go ahead with ten titles that have earned enough votes from the community to be greenlit. The list of submissions includes Half-Life remake Black Mesa, as well as other Greenlight favorites such as Heroes & Generals and Dream. Developers who made the list are required to send Valve a build of the game and then continually refine and improve the product as they work on marketing and, eventually, launch. As such, it may be a while before we see these titles in the store, especially as some of these titles are still in development. "The Steam community rallied around these titles and made them the clear choice for the first set of titles to launch out of Greenlight," said Valve's Anna Sweet. "Since launch, hundreds of titles have been submitted, with more coming in every day. 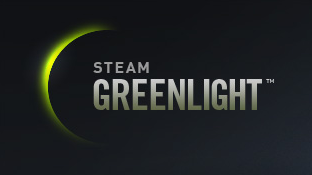 We expect to be announcing more titles coming to Steam via Greenlight soon." Steam Greenlight launched only two weeks ago to a flood of submissions, not all of them genuine. Valve has since introduced a $100 submission fee to minimize the amount of spam and of fraudulent entries, stating that it will donate the proceeds to Penny Arcade's charity Child's Play.